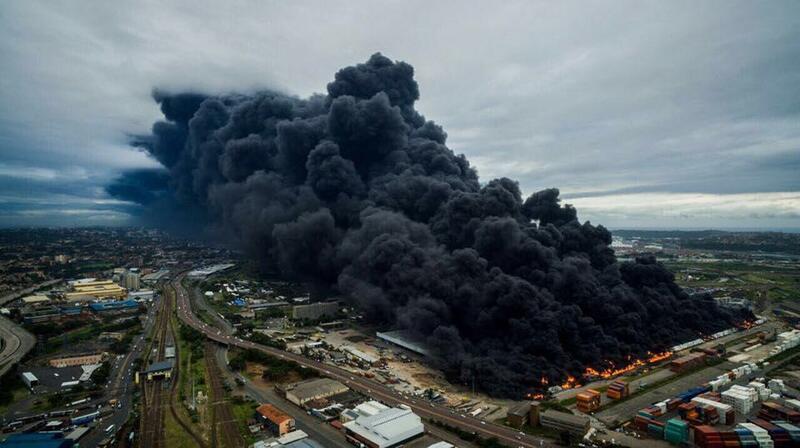 Most will remember the sight of black smoke engulfing Durban, one Friday, in March last year. And since then, all that's remained is a broken, crumpled ruin. Well if you've driven South on the M4 recently, and looked out of your passenger window, you'll have noticed that there's action at last. Atomic Demolishers are busy on site, and most of the old damaged warehouse is already gone. So what will rise from the ashes? Well that's where things are going to get really exciting. 18 months from now, Bayhead Rail Terminal, will boast a brand new, modern Industrial Park, consisting of approximately 9 units, varying in size from 20000 to 60000 square meters, totalling around 320000 square meters of warehouse space. Along with the new Clairwood Logistics Park, Bayhead Rail Terminal will be one of the few new logistics parks in South Durban, an area that's crying out for newer, more modern, and more secure warehousing. Warehouses 1 through 4 have already been let, testament to the high demand for warehouses just 5 km from Durban's Port and Maydon Wharf. The remaining warehouses, still available, are as follows: 22200 square meters, 26140 sqm, 26140 sqm, 21820 sqm and 34500 sqm. Uniquely, each warehouse will have its own rail access, which leads direct to Port. In addition, the warehouses will all feature: covered loading, dock levelers, natural lighting, side and reverse parking, 15m to the eaves allowing for 12m high racking with in rack sprinkler systems, fully compliant, and with large yard areas. The site will have a secure perimeter and guarded access control, with good internal articulation for heavy vehicles. It's not difficult to see why, given its proximity to the Port, this property will be, highly in demand.